Sharepoint Notebook is a digital notebook for capturing, storing and sharing all information. Notebook automatically saves and syncs your notes while you work. Use Instant Search to recall anything you’ve ever created or saved in OneNote. We can export notes in variety of files and formats. 1. 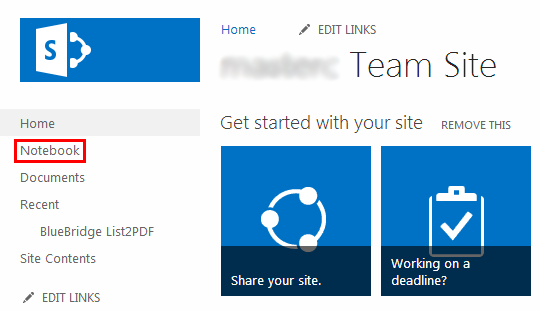 Open your Sharepoint 2013 Site. 3. Use Untitled Page or click on Plus icon to create new notes. 4. Give title for the notes and then click on below to write Notes content. 5. Immediately after typing your notes saves automatically. Click on Plus Symbol to create another note. 6. We can Increase Indent and Decrease Indent of the notes to highlight. 7. 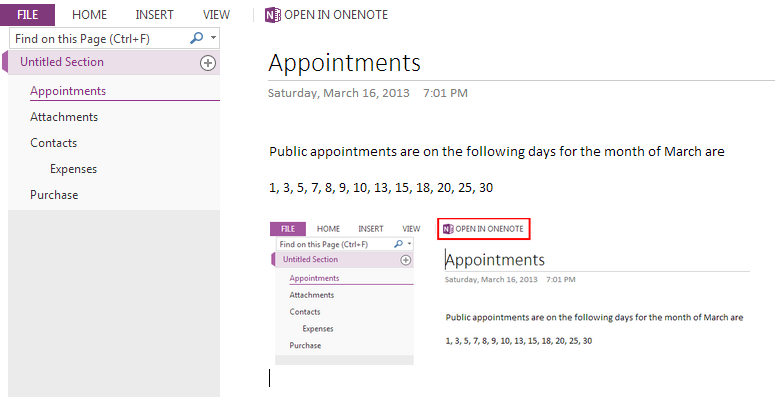 We can open notes of Notebook in OneNote by clicking on Open in OneNote. 8. We can insert Image in Notebook. 9. Double click on the text area to have another float note. 10. Notebook has a Quick Search box to search the content on the page.